(CNSNews.com) - Special Counsel Robert Mueller has determine that the Trump-Russia investigation "did not establish that members of the Trump Campaign conspired or coordinated with the Russian government in its election interference activities." "Now it's time to look at how this got off the rails," Sen. Lindsey Graham (R-S.C.) told Fox News's Sean Hannity Monday night. I'm going to use every tool available to me, disclose as much as I can without compromising sources and methods, to make sure the public understands how their president could be accused of working with a foreign government when there's really no basis in fact. This should scare everybody. Did the investigators, did the prosecutors use the law for political purposes? If that turns out to be true, that is bigger than Watergate. Did they try to take him down after he got elected? Was there a real effort to invoke the 25th Amendment....Well I don't know, Sean, but nobody seems to give a damn but me and you and a few other people. If it had been Republicans hiring Steele to spy on Clinton and they used a dossier prepared by Steele against Clinton associates that was a bunch of political garbage, it would be front page news. Graham said he told President Trump he thinks the Steele dossier was concocted by Russia. And he said he warned the president that the Russians were not out to help Trump in 2016 -- they were out to "destroy America." 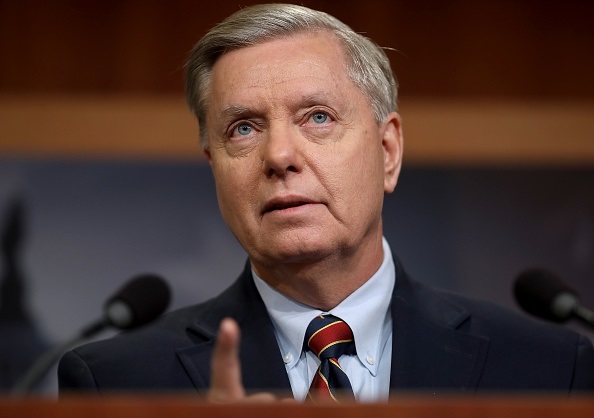 Earlier on Monday, Graham told a news conference that he intends to "unpack the other side of the story," which Democrats and their liberal media allies have ignored.